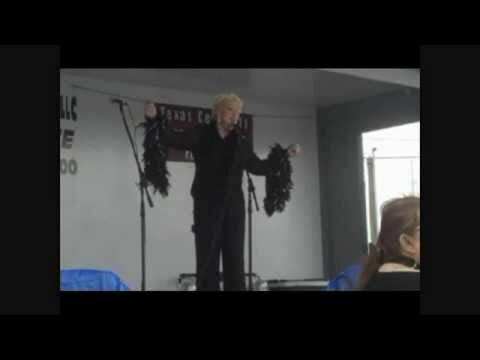 A corporate event, birthday party, fund raiser, gala, wedding & anniversary, emcee, motivational speaker are just some of the events that Barbara Bea will perform as Bette Midler. A full stage act or meet and greet look a like Bette with her personality and mannerisms for any event, a mature act can include Soph and Ernie jokes for comedy interspersed with songs that Bette Midler is famous for singing such as Wind Beneath My Wings, The Rose, Glory of Love and In My Life and many more. A full gala act can include showgirl costume to dazzling attire in Bette style and class. Review by Josie L. N.
Barbara was sensational and sang "Wind beneath my Wings" for our breast cancer survivors and our Sentinel of Freedom recovering Marine. She was also the emcee for this runway fashion show. She was a delight! 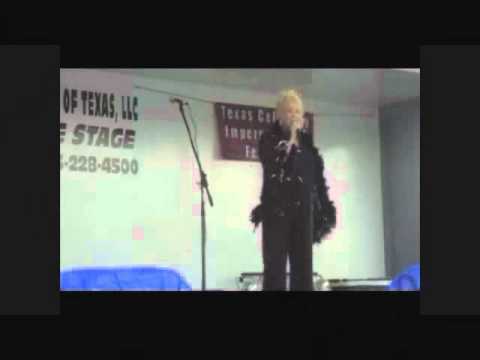 Barbara Bea creates a high energy big voice Bette look a like and sound a like performance that all audiences would love. A mature audience might appreciate Soph and Ernie jokes interspersed with classic songs Bette has sang for years, from Wind Beneath My Wing to the Boogie Woogie Bugle Boy. The event can be from 20 minutes to an hour with audience interaction and customized according to audience and venue. Technical information can be discussed with each individual depending on Venue. Lighting, 500 watt speakers, mixer, keyboard mic etc all available. Will tailor to your needs. Bette's bigger than life performance at Caesar's Palace in Las Vegas and her act in Houston nearly 20 years ago made a powerful impact on how I perform as Bette today.